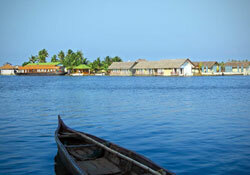 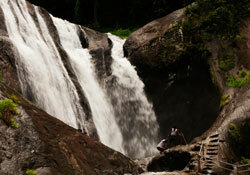 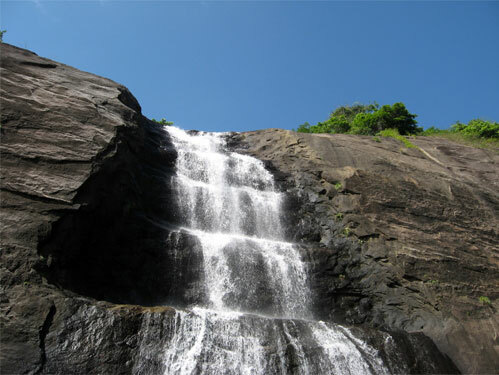 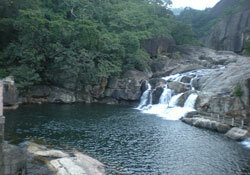 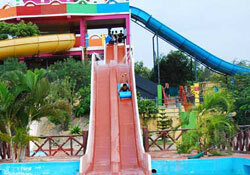 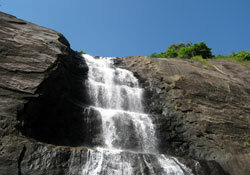 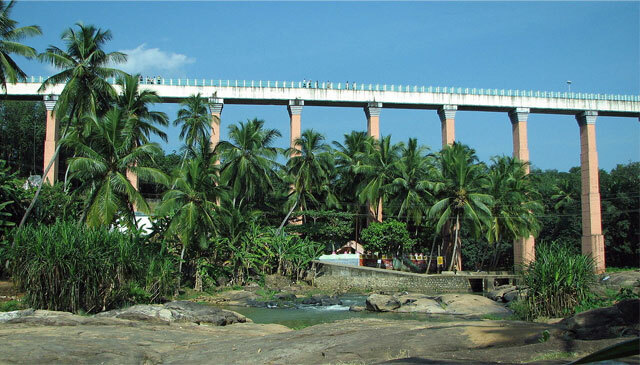 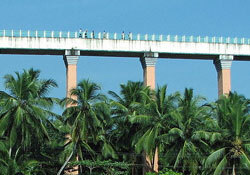 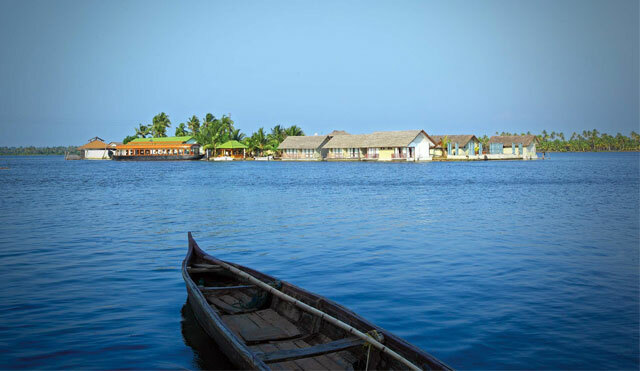 The Main attraction of courtallam for all its visitors are the waterfalls. 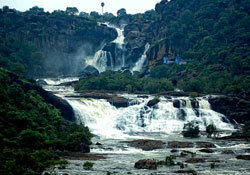 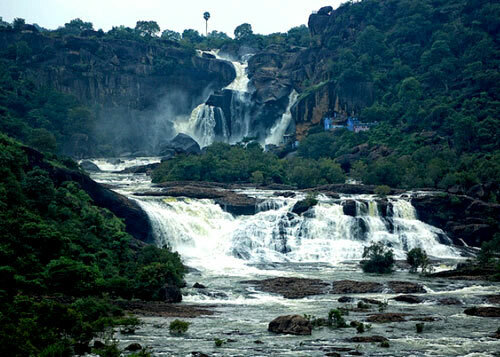 There are four major waterfalls in courtallam- the Tiger Falls, the Main Falls, the Old Falls and the Five Falls. 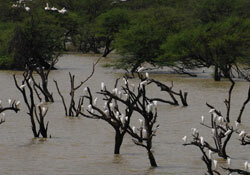 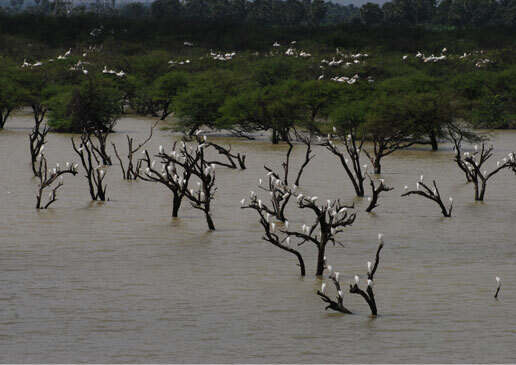 The Monsoon Season starts from June and end in August. 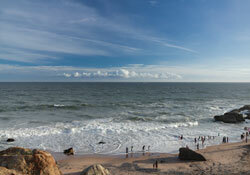 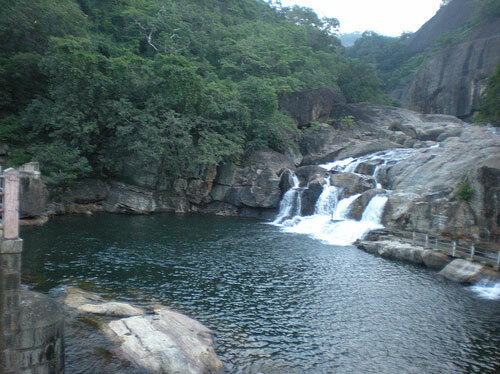 The waters are known for medicinal value. 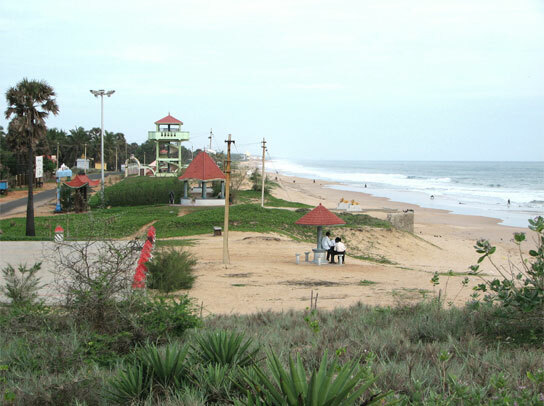 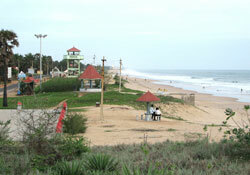 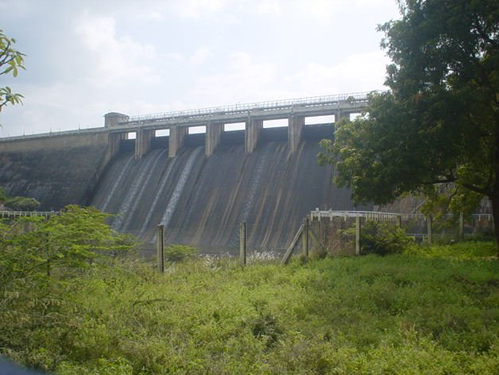 42 Kms from Tirunelveli. 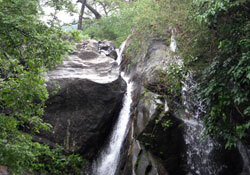 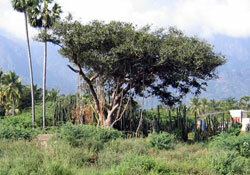 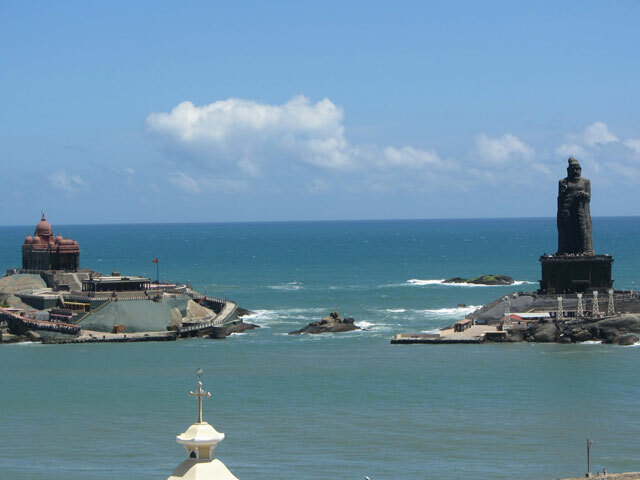 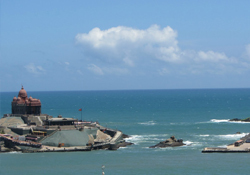 This holy place is on the western ghats of Pothigai Hills. 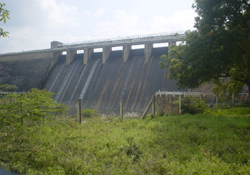 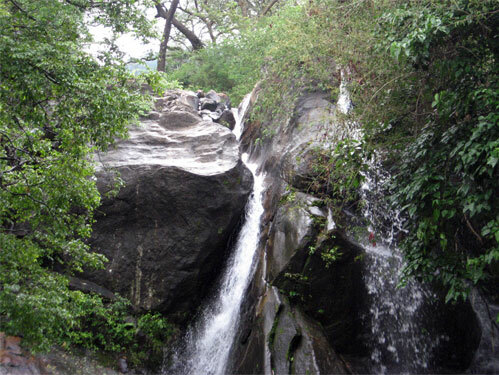 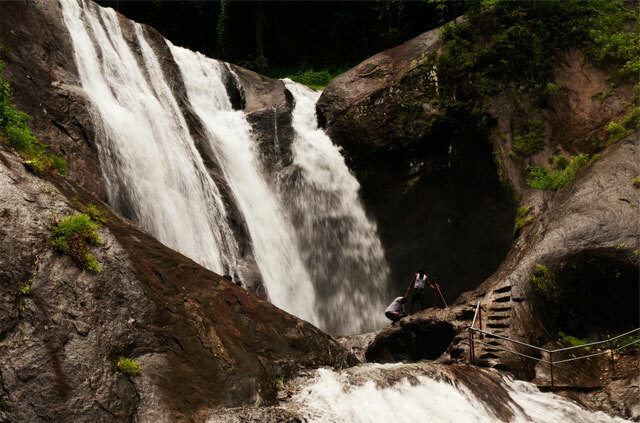 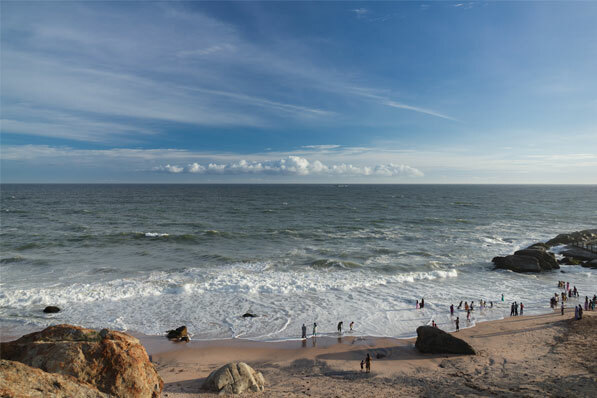 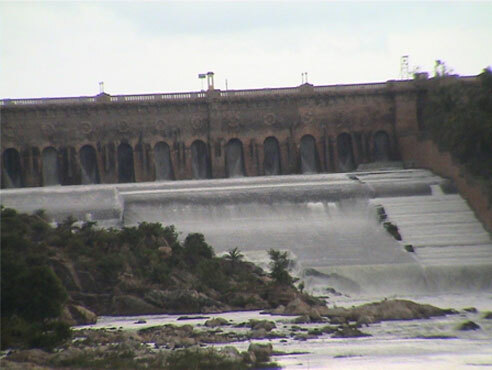 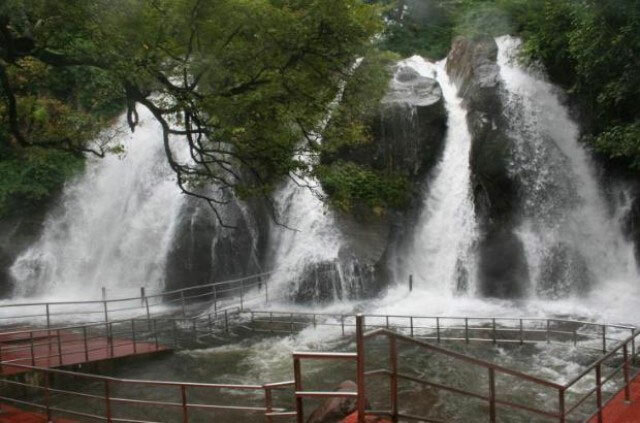 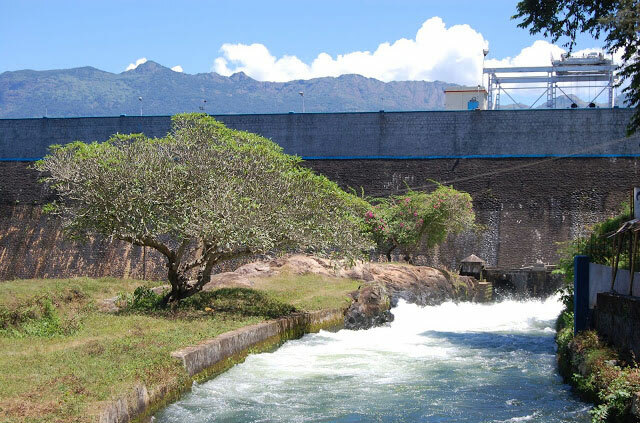 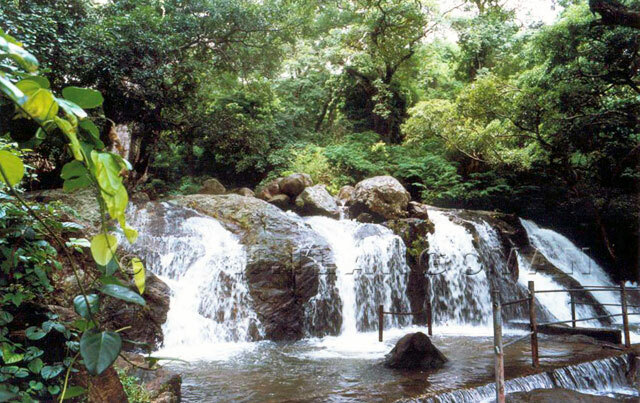 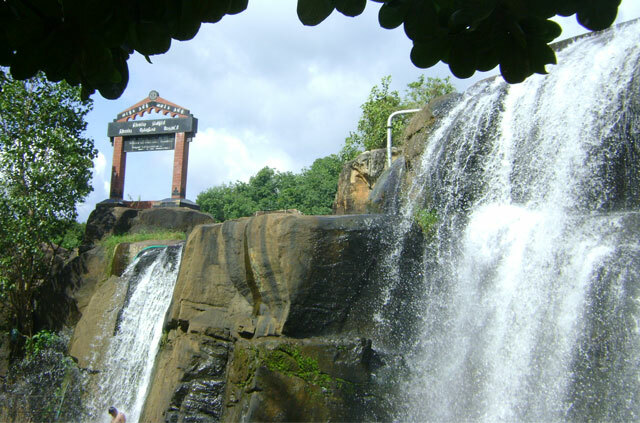 It is close to the Papanasam Falls, on the banks of the Thamiraparani river where Siva and Parvathi appeared before the great saint Agasthiya.Hence the falls is popularly called the “Agasthiyar Falls”. 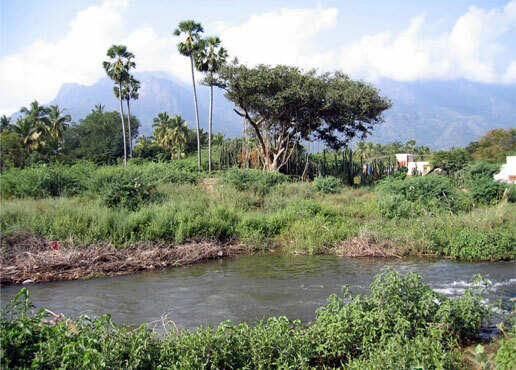 55 Kms from Tirunelveli. 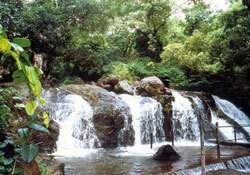 Gorgeous garden of Dam, pleasure boating. 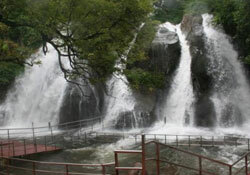 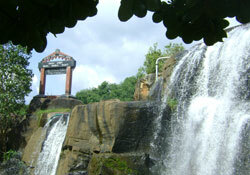 Water falls is 5 Kms from dam through Zig Zag Ghat road. 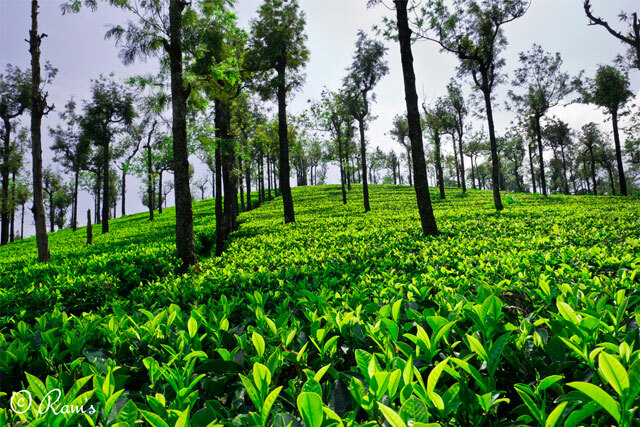 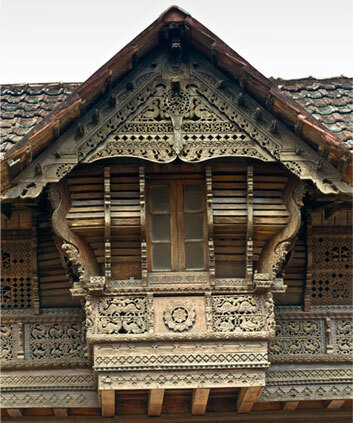 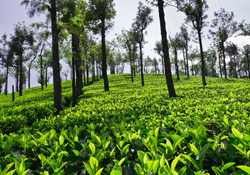 Manjolai Tea Estate having salubrious climate can be visited. 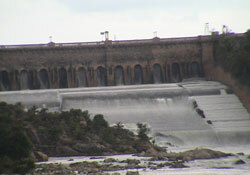 10 Kms from dam. 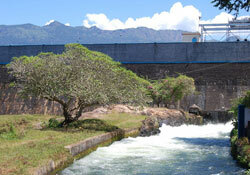 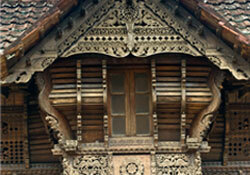 Rest house is available in the dam.